Diplomats, businessmen, government and military officials, along with their aides and staff, are dependent on their computers, communications gear and other hardware to keep them connected and operational. Whether they are in their respective offices or traveling in the US, the Far East, Europe or the Middle East, they require that their equipment be fully functional and in each case, having reliable electrical power is essential to that goal. Energy Technologies Inc. (ETI), a world leader in high-reliability power equipment, offers its Diplomatic Power® line as a global solution. 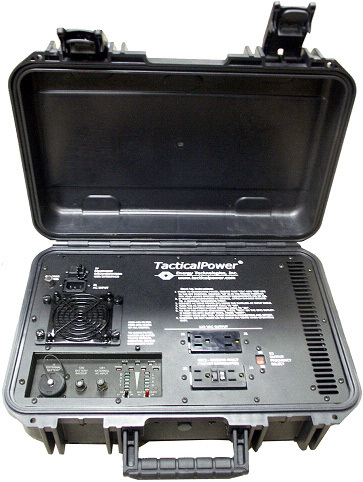 Based on the very successful Tactical Power® series used by the military, Diplomatic Power products are designed for ease of use by personnel on the go, engineered to be readily transportable on public transportation and robust enough to perform reliably whenever and wherever reliable power is needed. The product line includes Uninterruptible Power Supplies (UPS), Electronic Power Conditioners (EPC), Power Inverters and Solar Power solutions. By customer request, ETI has expanded thepopular Diplomatic Power global UPS product lines to include a wider range of output power and output voltages. 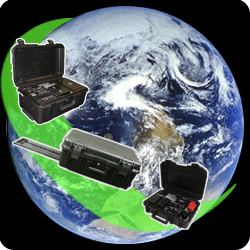 These portable units are compact and light enough to travel with you to any destination in the world. Their global auto-ranging AC input feature means that they can use any local grid or generator power source to produce power that matches the specific voltage and frequency requirements of your computer, network and/or communications needs. 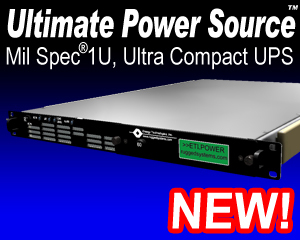 Plus, these UPS eliminate all power line fluctuations, transients and distortions; providing only pure sinewave power to the critical equipment. In addition, the Diplomatic Power UPS has true global input capability by offering models with the ability to use 12, 24 or 48 VDC as an input power source (i.e. from vehicles, aircraft, etc). This gives the user the ability to use either a local AC or DC power source as input. The built-in battery module provides seamless power to your equipment if either of these sources are interrupted, allowing for the source to be restored or for an orderly shutdown. 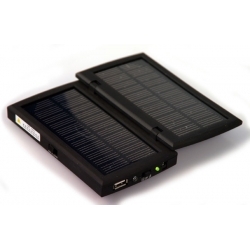 Extended battery modules are available for those applications needing longer backup times. The output power range has been expanded from as low as 250 VA in briefcase models to as high as 3000 VA in high-impact, molded cases the size of an airline carry-on with wheels and popup handle. Each model is available with either of two output voltage ranges. The CONUS models offer an output selection of 100, 110 or 120 VAC, 50 or 60 Hz. The OCONUS models offer an output selection of 200, 220 or 240 VAC, 50 or 60 Hz. All units feature full electrical isolation from both the AC and DC inputs insuring safe operation regardless of the local country's wiring practices. GFCI protection and circuit breaker protection is available for individual outlets or all outlets. For executive staff, government liaisons or diplomatic corps, where having reliable, quality power for computers and communications is important regardless of where your travels take you, go to the Diplomatic Power UPS page. For applications where battery backup is not needed, the Diplomatic Power EPC provides the same power protection as the UPS with the exception of blackout protection. These portable units are compact and light enough to travel with you to any destination in the world. Their global auto-ranging AC input feature means that they can use any local grid or generator power source to produce power that matches the specific voltage and frequency requirements of your computer, network and/or communications needs. Plus, the EPC eliminates all power line fluctuations, transients and distortions; providing only pure sinewave power to the critical equipment. In addition, the Diplomatic Power EPC has true global input capability by offering models with the ability to use 12, 24 or 48 VDC as an input power source (i.e. from vehicles, aircraft, etc). This gives the user the ability to use either a local AC or DC power source as input. The wide range input allows the EPC to output the correct voltage and frequency even during brownouts (low voltage input) and surges (overvoltage input). The output power range has been expanded from as low as 250 VA in briefcase models to as high as 3000 VA in high-impact, molded cases the size of an airline carry-on with wheels and popup handle. Each model is available with either of two output voltage ranges. The CONUS models offer an output selection of 100, 110 or 120 VAC, 50 or 60 Hz. The OCONUS models offer an output selection of 200, 220 or 240 VAC, 50 or 60 Hz. All units feature full electrical isolation from both the AC and DC inputs insuring safe operation regardless of the local country's wiring practices. GFCI protection and circuit breaker protection is available for individual outlets or all outlets. 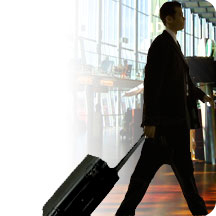 For executive staff, government liaisons or diplomatic corps, where having reliable, quality power for computers and communications is important regardless of where your travels take you, go to the Diplomatic Power EPC selection page. By popular demand, ETI has increased the Personal Solar product line to include a wider array of offerings. Starting out as solar power products for the individual Warfighter, these small solar panels, battery modules and accessories are in creasing in demand for the travelling executive. Personal Solar now offers solar chargers ranging from units that will easily fit in your shirt or khakis pants pocket and charge cell phones, PDAs, iPods and eReaders; to models that charge notebook computers, communications gear, etc that easily fit in briefcases or backpacks. To offer better access to these products and to simplify purchase, ETI has setup an online store at www.PersonalPowerStore.com.